What kind of country jails a cartoonist? Is it the kind of place we should be sending Irish artists to for a celebration of diversity and European pop culture next month? Those thoughts struck me last week when I hosted a cartoonist in my home for a night during his week-long tour of Ireland. Mohammad Sabaaneh is no ordinary cartoonist. He’s a man who spent five months in jail for his art and a household name across the Arab world, particularly in Palestine where he has a cartoon published daily in a national newspaper, al-Hayat al-Jadida. He has more than 500,000 Facebook followers. Mohammad taught me a lot about the power of art last week and also how a man can use his gifts to highlight the terrible suffering and injustice which has been inflicted upon his people for decades. He is regularly invited to cartoon festivals and arts events throughout the world and faces a logistical nightmare trying to get to them if and when he travels. It was returning from one of those work trips six years ago that Mohammad found himself being interrogated about his art by Israeli soldiers. He spent two months being interrogated about his work, when he was forbidden from drawing or writing. He then spent a further three months in prison, including some time in solitary confinement; time he used to document his experiences in smuggled or hidden drawings which he put together after returning home to Ramallah. Mohammad spent five months in prison because he had collaborated with his brother on a book about political prisoners, a project which angered those in power. This terrible experience provided Sabaaneh with inspiration. He vowed to document his feelings about what he witnessed in Israeli prisons and managed to get fellow prisoners to smuggle out his works of art whenever he had the opportunity. He left blank spaces in all of the drawings, so that the prison authorities could not examine his strong views about life in Israeli prisons if they came across or confiscated them. “They investigated me about everything, about my activity, about my participation in international exhibitions, and about my opinions,” he recalled. The irony was that the charges against Mohammad were baseless – his accusers and interrogators did not seem to know or care that his cartoons have also angered the various political factions in Palestine. He embodies the true role of an artist who holds the most powerful to account and ridicules those who abuse their power. Before a packed house in Galway last week, he wanted to talk about the Palestinian prisoners as real people, with mothers, wives, brothers and sisters; with feelings of loneliness and despair. He wanted to challenge the way in which his people are dehumanised so often in the Irish, European, and American media. As we listened to him, it was impossible not to understand his rage. His people have had their land stolen, been treated as second class citizens in their own country, and endure daily harassment at checkpoints where they are faced down by angry, hostile soldiers. More than 200 of their children (yes, children) are in Israeli prisons, and many of the prisoners are incarcerated in places where their loved-ones can never visit them. In prison, Mohammad was not allowed to speak to relatives on the telephone or receive visits from family members. His experience awakened him to the gross injustice which is being inflicted on so many men, women and children from his country. “Everyone deals with Palestinian prisoners as heroes, but I wanted my drawings to show them as real human beings,” he told the captive audience at the Black Gate Cultural Centre in Galway. Sabaneeh’s work is disturbing, but how else could it be for a man whose people have spent more than half a century being treated as second class citizens under military occupation in their own land? How can they not be angry, when they see their fate being played out in an election in which they have no say in their own future. His art work is also brilliant. It provides a timely reminder of the real motivation behind the staging of this year’s Eurovision Song Contest in Tel Aviv. It’s all about whitewashing an Apartheid regime which gave the people of the West Bank no voice at all in terms of the military occupation in this week’s General Election. During the campaign, Israeli Prime Minister Benjamin Netanyahu pledged to annex the Jewish settlements in the occupied West Bank if he was returned to power. He promised to prevent the establishment of a Palestinian state by “controlling the entire area”, continuing to dominate the lives of more than 2.5 million people who have lived under a brutal occupation for so long. Where Mohammad lives, there is no peace process. Hundreds of thousands of people now live in illegal settlements on land which was captured in a war more than half a century ago. 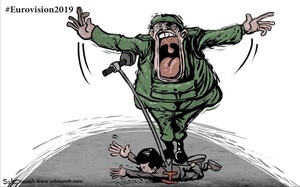 World powers consider those settlements to be illegal under international law and Mohammad’s cartoons capture the daily humiliations faced by his people, at checkpoints, on segregated roads, or through dawn raids by armed soldiers in their homes. When you hear him talk about the reality of life as an artist in occupied Palestine, you can only be filled with admiration for his bravery in expressing his rage. How else could he be, as a wonderfully talented artist, when he sees so much suffering and anger around him every day? Remember Mohammad and his amazing work when artists and TV crews from all across Europe congregate in Tel Aviv next month – or when Madonna turns up to play two songs. Eurovision 2019 is not a celebration of music and culture – it’s a clear and protracted effort to “normalise” a regime which puts talented artists like Mohammad in prison, just for speaking out about the terrible injustices he sees around him in the West Bank. 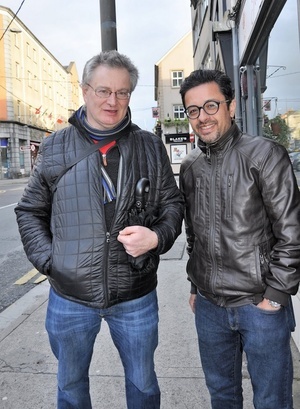 Mohammad, like so many artists all across Palestine, wants Ireland and the rest of Europe to boycott Eurovision 2019. How pathetic it seems to celebrate European pop culture in a place which has so little interest in granting artists anything approaching freedom, justice, or human rights. The estimated 180 million viewers who watch the Eurovision next month will feast on tourism promotion clips from Israel, but they won’t see images of peaceful protesters being murdered by snipers at the Gaza border fence, families being evicted from their homes in East Jerusalem, or little children being terrorised on their way home from school in Hebron. The brilliant cartoons of Mohammad Sabaaneh tell the world some bitter home truths about life in Palestine, home truths that won’t be screened on our TV screens on May 18, even though they are considered so subversive they result in artists like him being thrown in prison. Shame on the Eurovision for white-washing an illegal occupation on behalf of a regime which locks up artists and tramples on human rights. 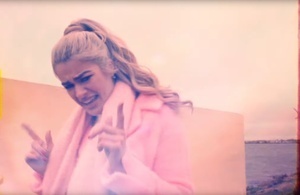 Posted in Misc and tagged Ciaran Tierney, Eurovision 2019 at 1:58 pm on April 15, 2019 by Ciaran Tierney. Ireland’s act and song for this year’s Eurovision Song Contest. Sarah, age 24, from Scariff, County Clare, will compete in the second Eurovision Semi Final in Tel Aviv, Israel on Thursday, May 16. Written by Janieck, Marcia “Misha” Sondeijker and Roulsen. Who all hail from the Netherlands. 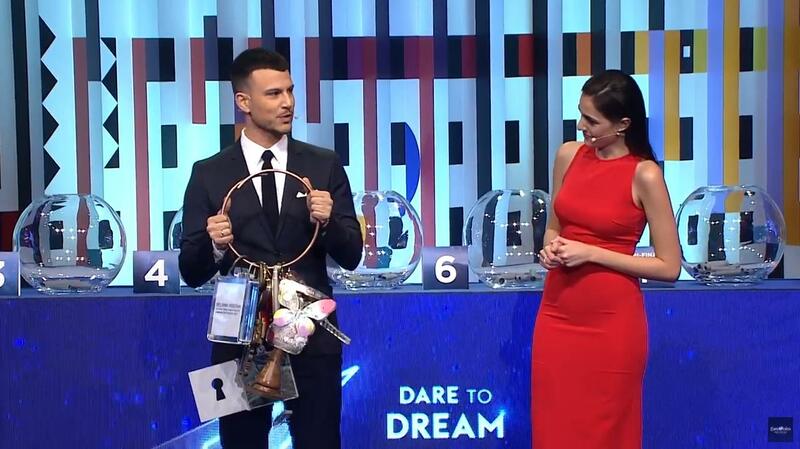 Posted in Misc and tagged Eurovision, Eurovision 2019, You May Like This at 9:06 am on March 8, 2019 by Bodger. 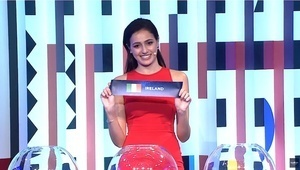 Ireland will be performing in the Second Semi Final. Very few songs selected but we’re mixed in with traditional heavyweights Russia, Sweden, and Norway. Posted in Misc and tagged Eurovision 2019, Israel at 5:02 pm on January 28, 2019 by Bodger. A pro-Palestinian activist group, Boycott Divestment and Sanctions Australia, has joined protesters and artists worldwide in calling for a boycott of the event. It used a red leaflet featuring the SBS [national public television network in Australia] name and logo to promote its cause. 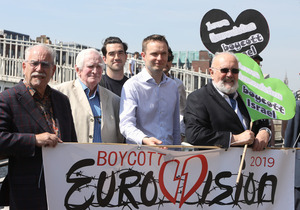 It said: “Boycott Eurovision 2019; Don’t Celebrate Israel’s Apartheid Crimes”. Non-European country in a tizzy over Eurovision being in another non-European country. 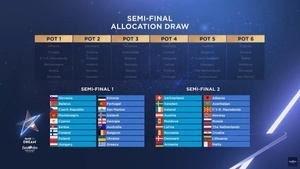 Posted in Misc and tagged Eurovision 2019, Israel at 12:44 pm on December 5, 2018 by Bodger. 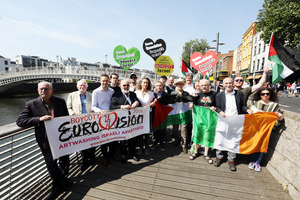 The launch of an ‘Irish Call to Boycott Eurovision 2019 in Israel’ Initiated by the Ireland-Palestine Solidarity Campaign (IPSC), PalFest Ireland and Trade Union Friends of Palestine (TUFP), with human rights activists, including artist Robert Ballagh and Senator David Norris. 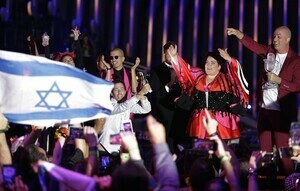 The group believes Israel’s hosting of the Eurovision will be used to “culturally whitewash and ‘pinkwash’ Israel’s record of war crimes and human rights abuses against the Palestinian people”. 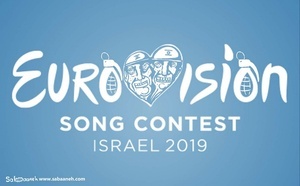 Posted in Misc and tagged Eurovision 2019, Israel at 1:16 pm on June 27, 2018 by Bodger.